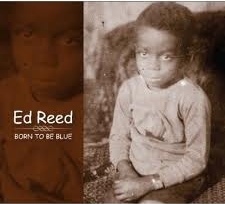 On the occasion of his first album, singer Ed Reed has quite a story to tell. Originally from Cleveland, but raised in Watts, Reed went to high school with Little Esther Phillips and Bobby Nunn of The Robins ("Smokey Joe's Cafe"). The group shortly became known as The Coasters. The fellow who watched his sister's kids was Charles Mingus. A heroin addiction cost Reed a good portion of his adult life. He served four prison terms in San Quentin and Fulsom, and still didn't get clean until 1986. Working in the San Francisco Bay Area, with the help of producer/musician Bud Spangler, Reed has found not only the incentive but the means to complete his first album. It would probably be a good ending for the made-for-TV movie that could be made of Ed Reed's life that he was recognized as a finalist (along with Curtis Stigers) for Outstanding Jazz Vocalist in the 2008 Nightlife Awards, an accolade that has earned his New York appearances the kudos of the media. 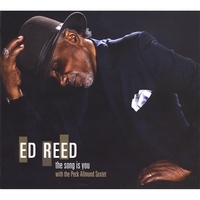 Love Stories is a solid package, celebrating Reed's vocal style in a mellifluous sound comparable to Freddy Cole, but with a higher register and a somewhat looser approach. Reed delivers "A Sleepin' Bee," an overly welcome standard taken from the Broadway musical House of Flowers, in a slowed down ballad form with enough traces of the Caribbean to give it authenticity. The end result is an unhurried song with a story. On Gordon/Revel's "There's A Lull In My Life" and Young/Crosby/Washington's "Ghost of a Chance," Reed picks up the pace, but just a bit, allowing his jazz phrasing and timing to shine through. He begins Henderson/Dixon's "Bye Bye Blackbird" with the bridge and then swings the tune. The tunes have been carefully selected, and include Billy Strayhorn's "A Flower is a Lovesome Thing," the Carmen McRae arrangement of Hanighen/Cates' "If the Moon Turns Green," Ellington/Strayhorn's "Daydream" and a fine version of Thelonious Monk's "Ask Me Now," with the Jon Hendricks' lyrics. The very effective musical support is provided here by the one-man horn section of Peck Allmond on trumpet, tenor sax, flute, alto flute, clarinet, bass clarinet, trombonium (featured on "Ask Me Now") and kalimbas. The rhythm is aptly supplied by pianist Gary Fisher, bassist John Wittala and drummer Eddie Marshall. Track Listing: A Sleepin' Bee; There's A Lull In My Life; Ghost of a Chance; Bye Bye Blackbird; A Flower Is A Lovesome Thing; Where Do You Start; Daydream; Ask Me Now; If The Moon Turns Green; Goodbye; Motherless Child. 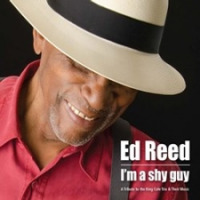 Personnel: Ed Reed: vocals; Peck Allmond: trumpet, tenor sax, flute, alto flute, clarinet, bass clarinet, trombonium, kalimbas; Eddie Marshall: drums, recorder (3); John Wittala: bass; Gary Fisher: piano.